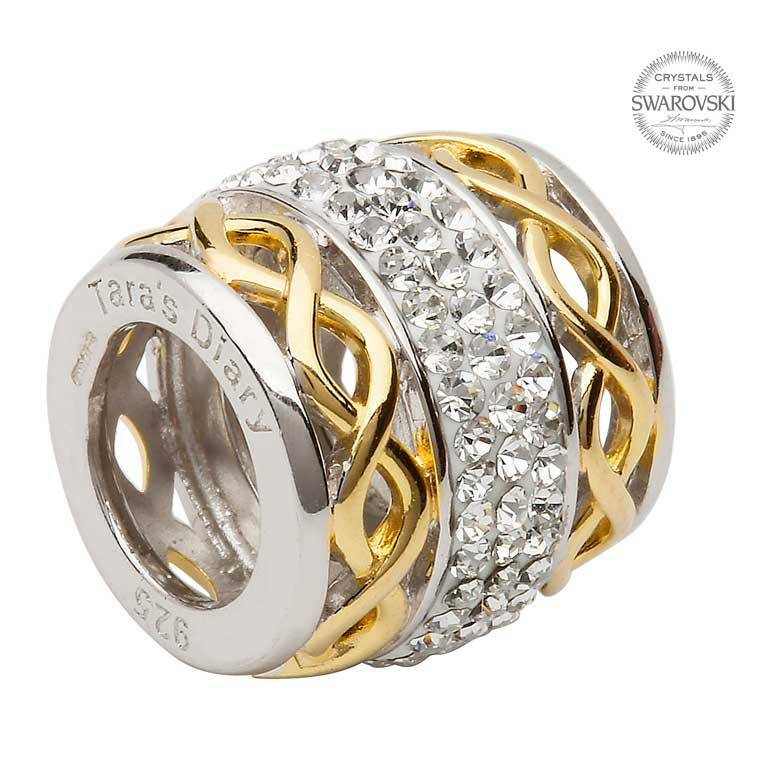 Celtic Knotwork Charm Bead, wide version is made from sterling silver and gold plate embellished by Swarovski® crystals and show beautiful and delicate Celtic knot work intertwined. From our famed Tara's Diary Origin Collection, Shanore presents this stunning bead full of Irish history, symbolism and spirit. The bead an intricate and unique knotwork of glistening gold. The delicately designed knotwork plays a role in the Irish narrative by creating a visual representation of the nation's tenacious spirit. The rope like gold strings tie firmly into one another . All of the jewelry pieces from Shanore are created with the utmost care and thoughtfulness. The quality of Shanore's jewelry is simply unmatched. With an endless amount of pairing options, this piece can accompany any of Tara's Diary Origin collection other beautiful creations.